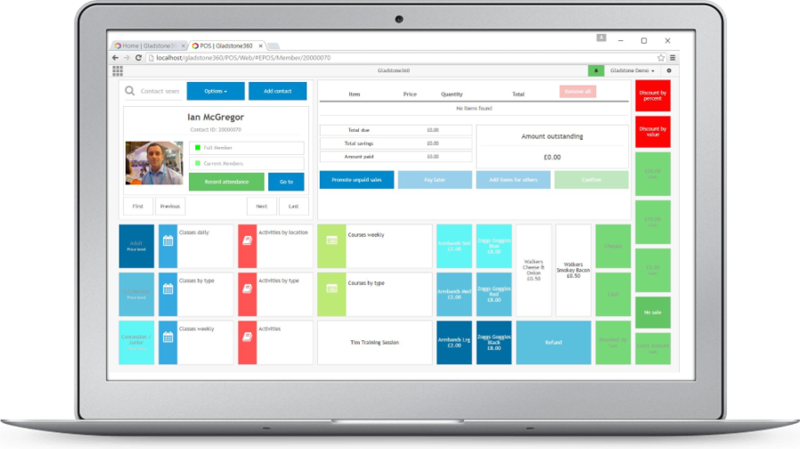 Introducing the next generation of Leisure Management Software (LMS), giving you the full circle 360 view of your business from a tablet device. Recommended as hosted solution, so you'll never pay for an upgrade again. Analyse, understand, enhance and perform like never before. Free your staff from the constraints of a desk to engage with the customer anywhere in your facility – from payment queries to prospecting all from the freedom of a tablet device. a 3 year or 5 year site license. Customers on the hosted platform are always on the latest version, there are no charges for Professional Services at the point of upgrade. Our new signature software application, Gladstone360, transforms the existing Plus2 environment with a vibrant easy to use interface delivered on any device. Modern operators want software tailored to their specific needs – Gladstone360 is our response to that demand. With its flexible and configurable front end, minimising user training and delivering a 360 degree view of the customer at the touch of button. 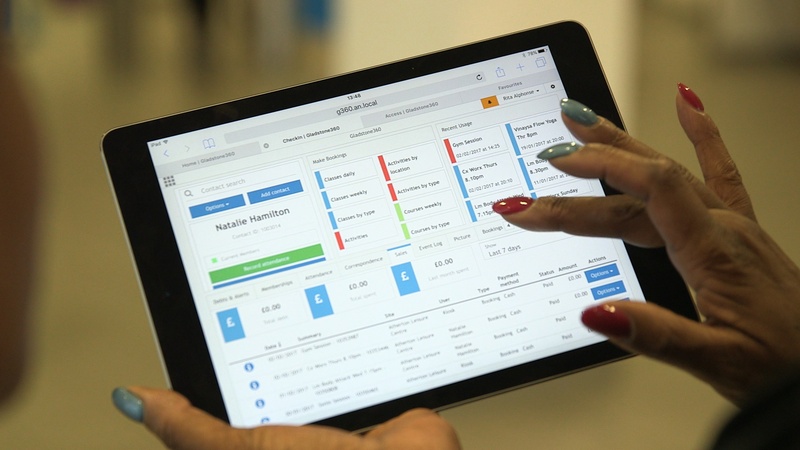 Because it works on tablets, staff can engage directly with customers; the user-friendly interface greatly reduces training overheads, and the customisable screen design puts business-critical information front and centre. Gladstone360 continues our focus on customer self-service, integrating online portals, mobile apps and self-service kiosks to provide a comprehensive, multi-channel sales solution. In everyday life we can choose how we want to interact with others so why should it be different when they visit you? 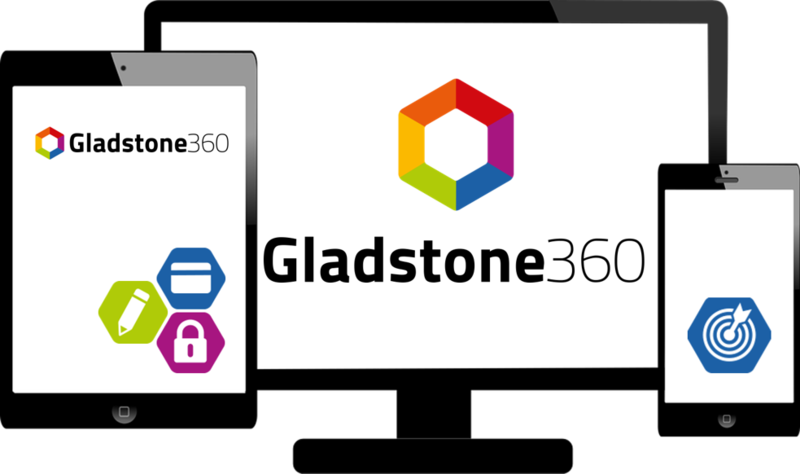 With Gladstone360 the customer can choose to download an app, go online, self-serve at a kiosk or engage with a member of your team. Providing great customer service that’s timely and personal is key to a successful retention strategy. 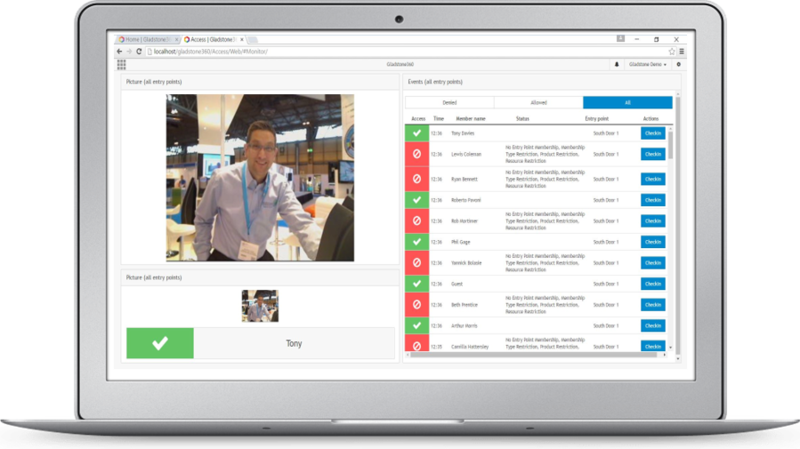 Gladstone360 is designed to work on multiple platforms, allowing your team to get face to face with your customers. Good communication needs good information. With Gladstone360 your team can deliver the right message at the right time. Better informed staff means better informed customers, enriching their experience and ensuring they stay connected with instant access to your business. Managing customer movements is a balance between controlled entry and a welcoming environment. Gladstone360 works with any access control hardware so that you can tailor your solution to suit your needs. From biometrics to proximity with Gladstone360 you can make member access a personal thing. Contact our card services team for the latest options. Give your business a sales boost, maximise new sales and increase customer renewal rates, your customers want to interact with you so give them every opportunity to do so 24/7 by doing so you will increase customer satisfaction and free up valuable resource. Are you restricted by only being able to sell inside your own four walls? Gladstone360 provides a complete multi-channel sales solution, opening up your centre into the online space. With our “catch-all” and prospecting solution you are guaranteed to increase customer yield by removing barriers to sale and giving customers all they need to know at their fingertips. Keep customers and prospects up-to-date with news and targeted campaigns via MobilePro. Use SMS, email, social media and push notifications to keep communications personal. With latest Microsoft .Net technologies Gladstone360 can be used on tablets, laptops and workstations to give operational choice and has the capability of being customised, to allow a bespoke solution feel from an off the shelf package. For existing customers on Plus2 there is a migration available to move to Gladstone360. 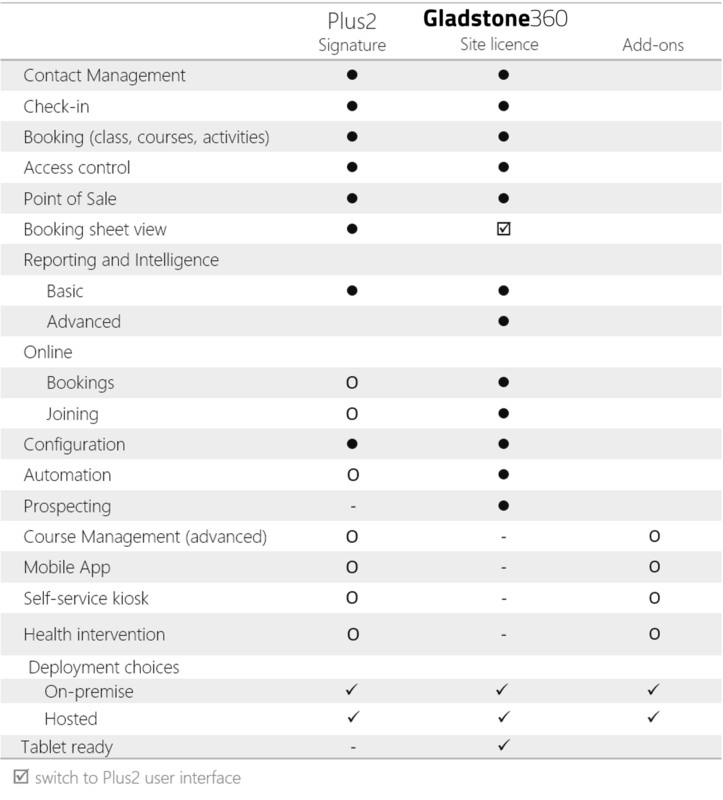 "Gladstone360 is the beginning of the next generation of Gladstone’s leisure management software, creating a robust and futureproof platform based on modern web technologies. It is both customer and user-focused in equal measure and paves the way for continued and exciting future development."